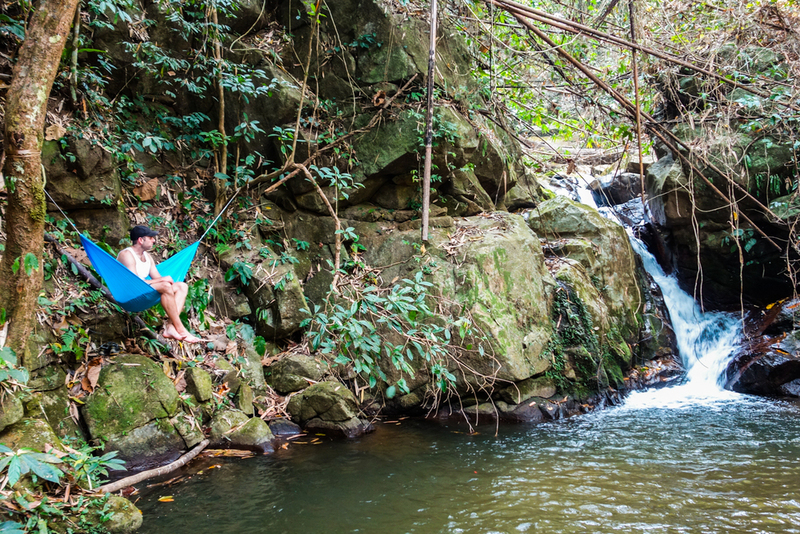 Few activities are more relaxing than kicking back in a hammock. 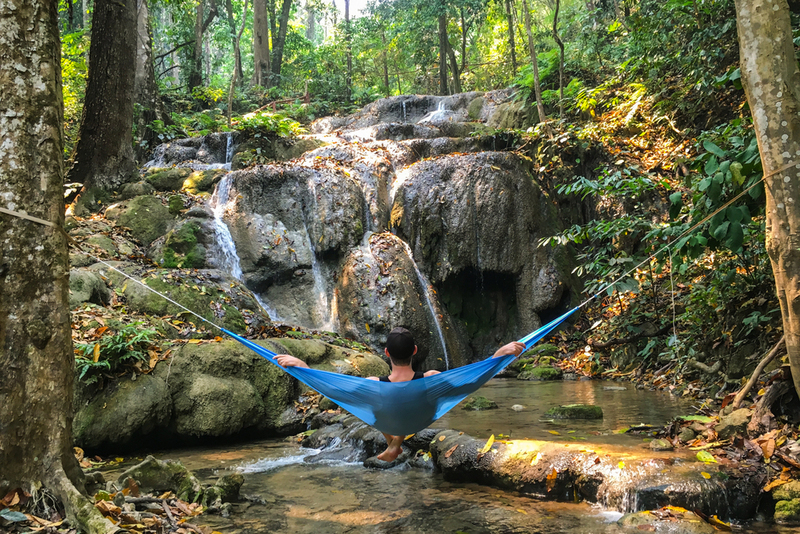 And when you’re hammock hangin’ in the wilderness, surrounded by natural beauty on all sides, it’s tough to imagine wanting to be anyplace else. The main problem with most hammocks is that they’re too heavy and bulky for backpacking. When you’re on the trail, keeping pack weight to a minimum is critical for enjoying your hike. That’s why I’m always looking for ways to decrease my base weight without sacrificing comfort. The Hummingbird Single Hammock is the perfect solution to this problem. 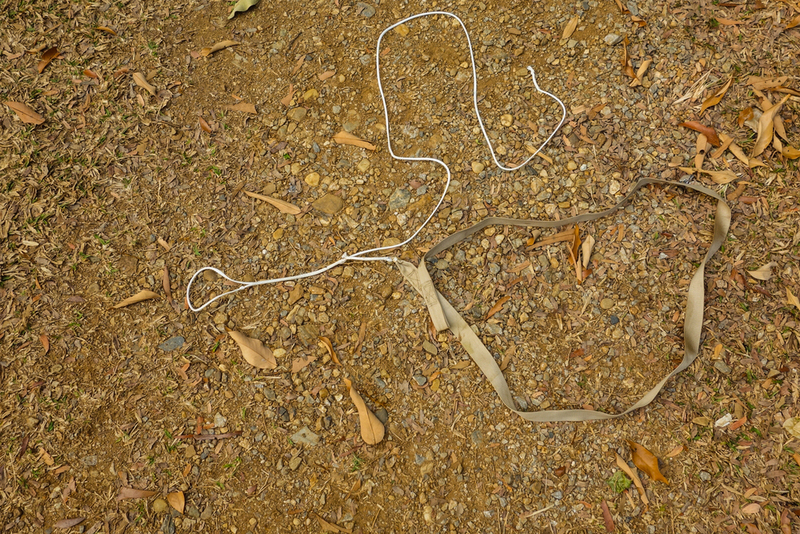 Weighing a ridiculous 5.2 ounces, the Single is the lightest hammock I’ve ever tested (or even heard of). And when you combine it with Hummingbird’s ultralight Tree Straps, you’ll have an entire system that weighs only 7.5oz. That’s an incredible benefit for backcountry travelers. The Single is easy to set up, a dream to lie down in, and it packs up to about the size of an apple. This hammock has quickly become one of my all-time favorite backpacking hammocks, and if you give one a try, you’ll quickly see why. PRICE - The cost of the Hummingbird Single is on the high-end for hammocks, but I believe it’s worth the price. I haven’t found any other hammocks is in its weight class, and other ultralight hammocks cost only slightly less. So for me, the minimal price increase is worth the investment for a quality piece of ultralight gear. Current prices can be found here on the Hummingbird website and Amazon. WEIGHT - The Hummingbird Single weighs only 5.2 ounces. That’s the lightest hammock I’ve ever tested and one of its best selling points. 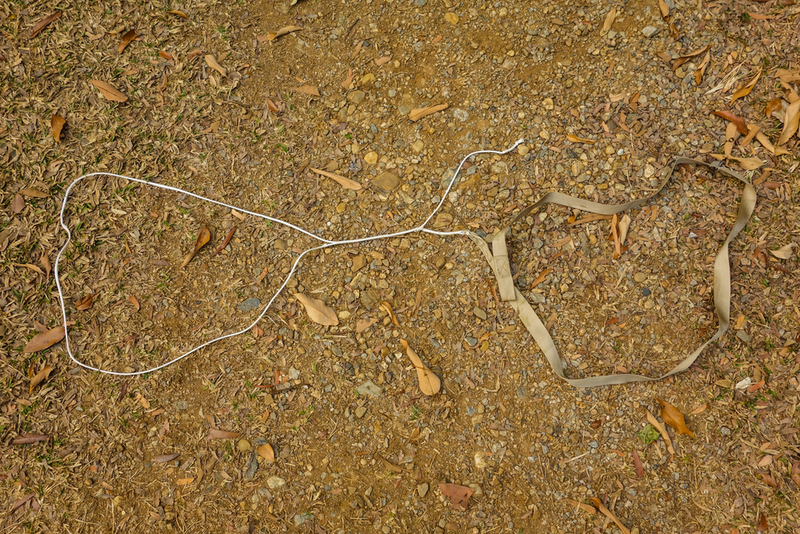 The Hummingbird Tree Straps (sold separately) weigh only 2.3oz, which is also incredibly light for suspension straps. If you have an active lifestyle, this tiny hammock will fit right in. CAPACITY - The Single can support up to 300 pounds. I’m 6’2,” 185lb and the Single has no problem supporting my weight. I'll admit that I was nervous getting in it the first few times because it’s built with such light material, but I’ve been pleasantly surprised by its strength. DESIGN - The designer of Hummingbird Hammocks, Chris Loidolt, is a FAA certified parachute rigger. Chris brought parachute rigging materials and techniques to the hammock world, which is why his products are so light and strong. Hummingbird Hammocks are made in the USA as well. CARABINERS - Hummingbird Hammocks don’t use metal carabiners, which is another unique design feature that helps save weight. Instead, they attach with “soft link carabiners” that are secure and easy to use. For this review I tested a new clasp prototype that has a simple loop and button system. If all goes well with the testing, the new clasp system will be available sometime this spring. TREE STRAPS - Hummingbird’s Tree Straps (sold separately) are another big selling point of this system. They are much lighter than most hammock straps, they’re easy to use, and they’ll hold up to 400lb. 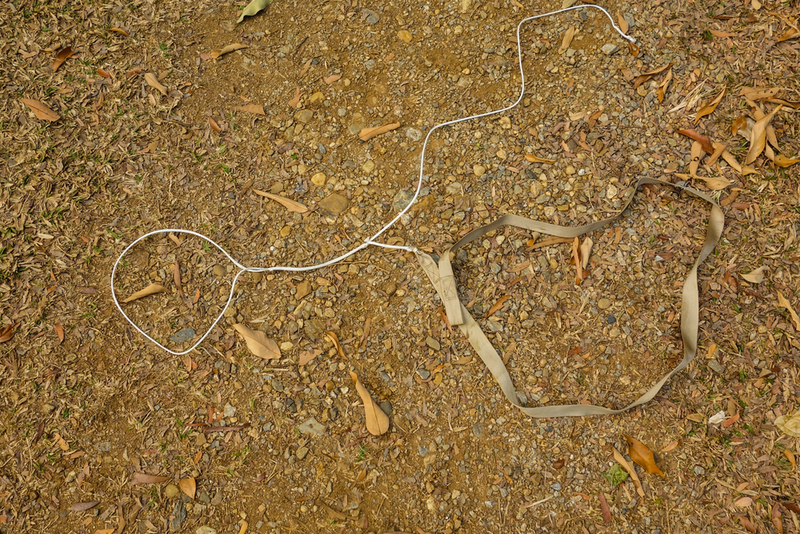 They work like a chinese finger trap with a loop on one end (pictures below). The loop can slide easily when there's no pressure, but when you put weight on it, it cinches down and won’t budge. It’s a very clever and effective system. This design will slightly limit hanging length when compared to traditional tree straps, but I found them to have plenty of length. My biggest grievance with the tree straps is they don't come with a carrying case and they won't fit in the hammock bag for easy storage. MATERIALS - Hummingbird uses parachute fabric, spectra cord, and military spec bonded nylon thread to build their hammocks. 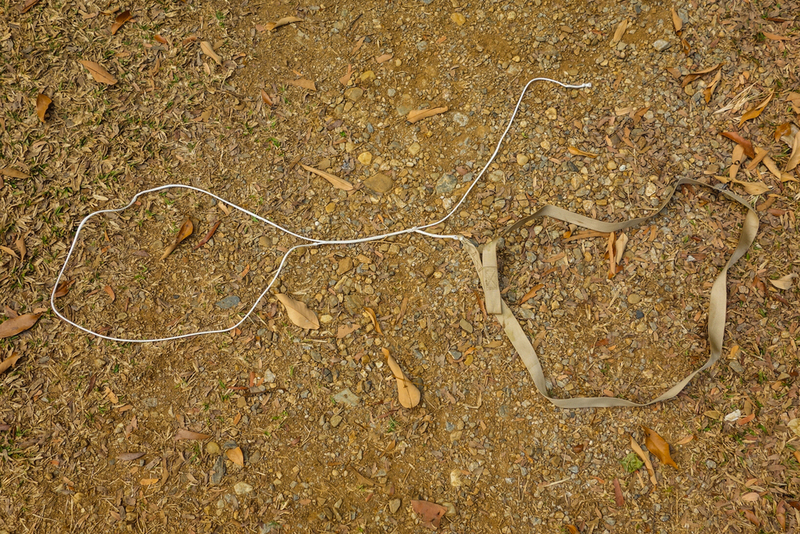 These high-tech materials are key for keeping hammock weight and size to a minimum. I suspect these specialized materials are also one of the reasons Hummingbird Hammocks cost slightly more than their ultralight competition. SIZE - The Hummingbird Single is 8ft 8in long and 3ft 11in wide. It’s a great size for lounging around. I’m 6’2” and the Single is large enough to fit me comfortably. If you plan to sleep in your hammock, you’ll probably want go go with the larger Single+ Hammock for extra space. 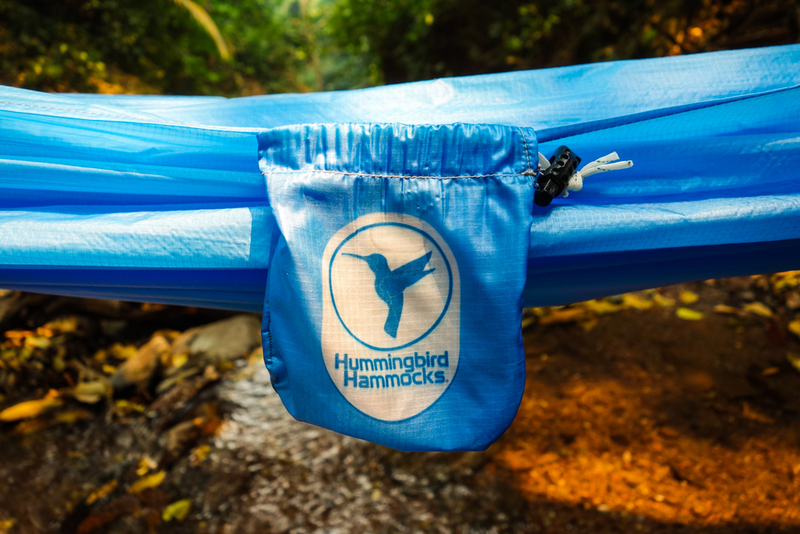 Hummingbird also offers a Double Hammock if you’d like the ability to swing two people. PACKED SIZE - Another great feature of the Single is that it packs down really small. When packed this hammock is 4in x 4in x 2in, or about the size of an apple. 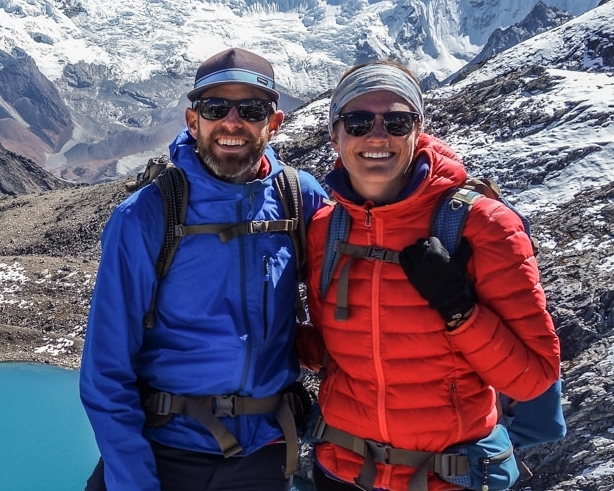 That’s another fantastic benefit for backpackers limited by space in their packs. STYLE - Hummingbird Hammocks come in four different colors: grass green, forest green, skydiver blue, and sunset orange. I love the look and feel of my skydiver blue Single hammock. DURABILITY - Durability is one of the most difficult qualities for any reviewer to accurately assess. In order to really know a product's true limitations, you have to use it for months and years until it eventually breaks down. From all of my product testing and research, I expect this hammock to last a long time if treated with care. Any ultralight product will be less durable than heavy duty products. That’s just the nature of lightweight gear. So if you’re looking for a bombproof backyard hammock to beat up, this probably isn’t your guy. But if you’re looking for an ultralight backpacking hammock and you’re willing to take good care of your gear, the Single will likely be with you for many years and many miles. Straps can't be stored in hammock bag. *pictures above show how the tree straps tighten. 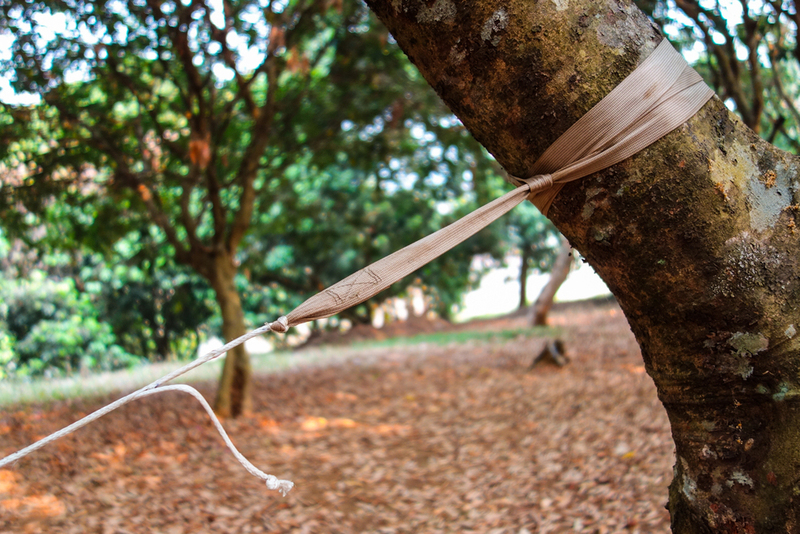 If you’re a backpacker who likes to pack light, but you still want to enjoy the comforts of a hammock in the wilderness, then the Hummingbird Single Hammock and Tree Straps are for you. This hammock is so small and light, you’ll be able to take it just about anywhere. Like most ultralight equipment, this hammock won’t be quite as durable as a heavy duty hammock, but it’ll still last a long time if treated with care.